Now that Martian Manhunter has been released for Injustice: Gods Among Us, many have been testing the online waters with the character to see what he brings to the table. Maximilian has also hopped on board. 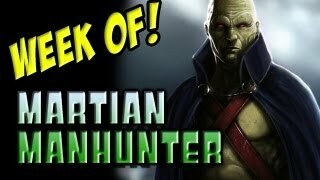 Maximilian jumped at the chance to download Martian Manhunter and even posted day one combos with the new Injustice: Gods Among Us character. Now he's taking the DC Comics hero to the online world.